"Sab 13.04 • Tacco Tredici • Joy & Joy • Torino"
"Torino • Venerdì 12-04-2019 • VEnJOY Special Girl Edition •"
"Sab 06.04 • Saturday Deluxe • Joy & Joy Torino"
"Sab 30.03 • Saturday Deluxe • Joy & Joy Torino"
"Venerdì 05-04-2019 • VenJoy • Joy&Joy • Torino"
"Alessia&Giorgia #RICCANZA • Venerdi 29-03-2019 • Joy & Joy"
"? R O U G E ???? R O Y A L ? JOY&JOY ? 11.02.17"
"? CANDY CARNIVAL PARTY ? JOY&JOY ? 18.02.2107"
"? DOWN TOWN ? HIP HOP HOUSE DANCE ? JOY&JOY |16.02.17"
"? DOWN TOWN ? HIP HOP HOUSE DANCE ? JOY&JOY |09.02.17"
"? P A P E E T E ? O N ? T O U R ? 04.02.2107"
"? DOWN TOWN ? HIP HOP HOUSE DANCE ? JOY&JOY |02.02.17"
"? GET2CHIC DELUXE @ JOY&JOY ? S.GUEST DJ:SHORTEE BLITZ ? 27.01.17"
"? THE LEGEND OF YETI ? 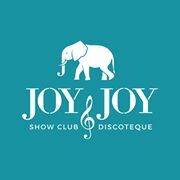 THE SHOW by JOY&JOY ? 28.01.17"
"? DOWN TOWN ? HIP HOP HOUSE DANCE ? JOY&JOY |26.01.17"
"? A TUTTO REVIVAL ... A VOLTE RITORNANO ? JOY&JOY ? 24.01.17"
"? SIMONE CATTANEO ? JOY & JOY ? 21.01.17"